Kitchens are tricky spaces. We want them to look beautiful and clean, but they handle a lot of daily activity. So, they can’t be set up like a china cabinet that no one ever touches! You need to really take into consideration all of the functionality of a kitchen before you start designing one. 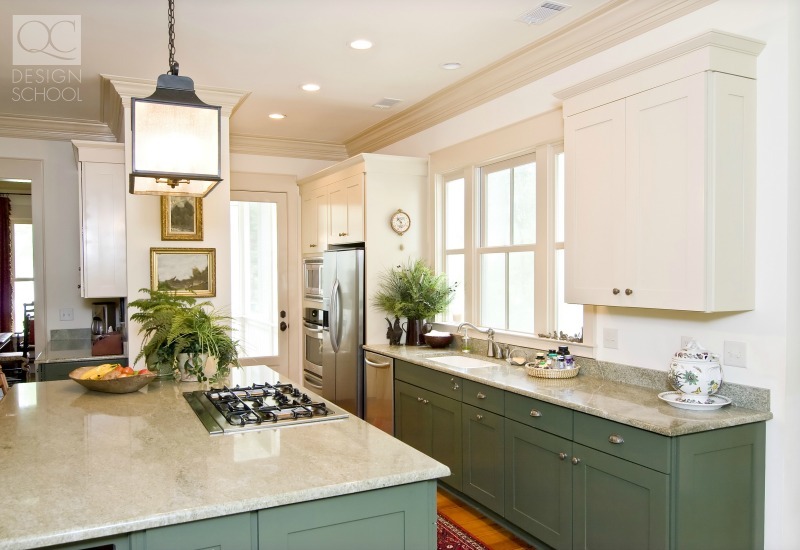 Follow these useful strategies to bring functionality to your kitchen design strategies! Sometimes the best strategy is the most obvious one! Below are some of the intuitive elements to use in your design. The first thing to tackle is figuring out who and what you’re working with. Is this a gourmet chef who has tons of equipment? A busy family that has set weekly meals? Kitchens are not one-size-fits-all and you need to make sure that you’re designing a space with the homeowner in mind! You should go through the kitchen and do a clean sweep. This means getting rid of broken and unusable things and giving away duplicates. This way you’ll both know what needs to fit in the kitchen, what the problem areas are, and you get to start from a clean base. Make the item placement intuitive. This means keeping the items they use every day close and accessible. It also means keeping the sink near the stove so they don’t need to walk to the other end of the room to drain boiling water or wash their hands. Keep the coffee cups near the coffee pot, the measuring cups with the baking pans, etc. A kitchen should feel comfortable and easy to navigate. It’s necessary and logical that your clients be able to move freely around their kitchen. Design the space so they can open a drawer or cabinet and still be able to walk by. Make sure doors don’t collide and keep your client’s height in mind so they can actually reach their kitchen supplies! It’s also a good idea to ask a client what their future will look like. Should you be designing this kitchen knowing that in a few years they will have a growing family? If that is the case then you might want to add some extra storage or features that will support that. You should also make sure that you choose sturdy materials so the kitchen will last without scratches or stains. Some clients have too much stuff in their kitchen that they’re not willing to part with. The best way to tackle this is a storage strategy, which is partially outlined below. There is a lot to consider when it comes to kitchen storage. And let’s be clear. Just because nothing is on the counters does not mean that you have implemented a storage strategy. Things shouldn’t just fit into drawers. They need to have the frequently used items near the front. If you have to move your waffle iron twice a week to get to your blender, you’re wasting time. Another great way to optimize your storage space is to get an island that has storage underneath where the most highly used items can sit. 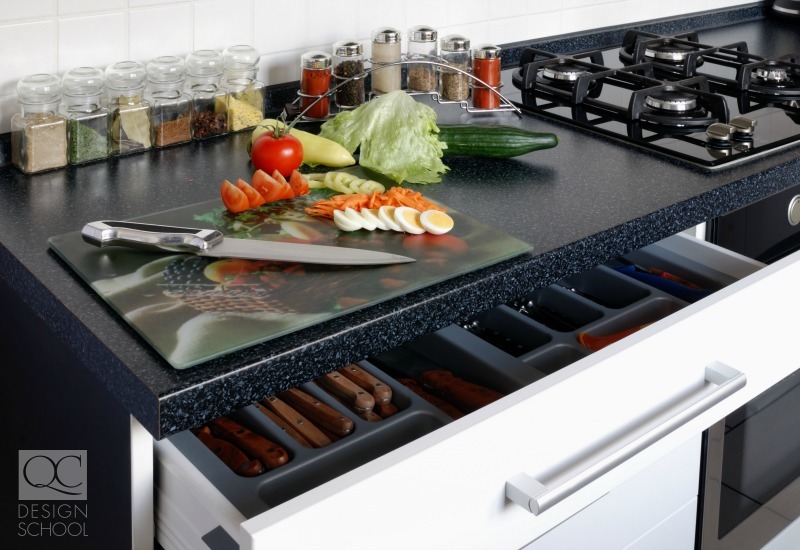 Limiting deep cupboards, fridges and freezers can be a great way to have more floor space and reduce storage problems. This is because things get shoved to the very back and are forgotten about. This can lead to expired and freezer burnt foods being inaccessible. Visibility and accessibility will give you the most use out of a kitchen. 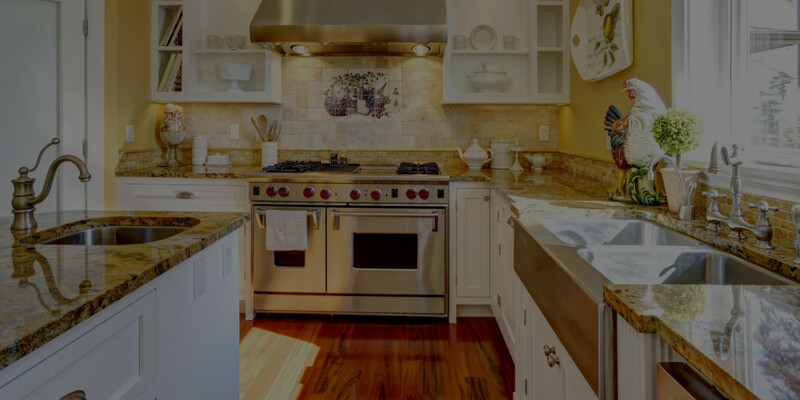 Another good way to optimize your storage is to create multifunctional items, such as getting rid of the house cutting boards and replacing them with an island that has a built-in butcher block. Often, people cook and socialize together. 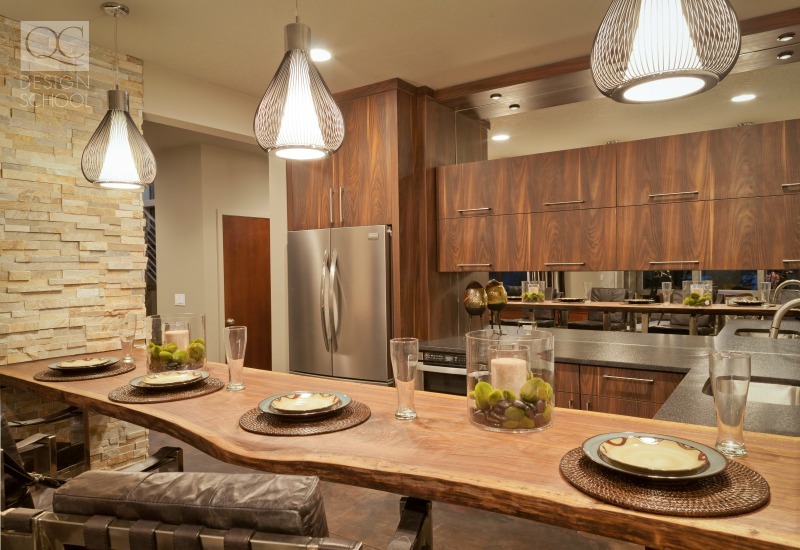 Consider adding stools to your counter space or island to having seating without fitting in a clunky table. This can lead to more room for shelving and an intimate social experience. Lighting in a kitchen is usually incorporated through windows. Natural light is great for kitchen use in the day but makes using a kitchen difficult at night. Nothing is more annoying than turning the light on and having your own body cast a shadow so you still can’t see! The key is to have lighting directly above ALL the spaces including cupboards, counters, the stovetop, and the island. This is also relevant when it comes to recipes. Does your client read recipes from their iPad or use their good old-fashioned cookbooks? If they use an iPad you don’t need to be worried about lighting, but you might consider buying a moveable iPad stand. If they use books, you might want to incorporate a tabletop stand with a light. There is a lot to take into consideration when it comes to quantity and placement of outlets. You’ll need them for large appliances like a fridge, small everyday appliances like a toaster, and specialty cooking equipment like a food processor. Be sure to place them where they will be used! An extremely functional place for an outlet is on the island. Give outlets some special attention if you want to really boost kitchen efficiency. The absolute best strategy would be to include all three of the previous strategies to create one cohesive scheme. There are a lot of features and functions of a kitchen, and to work towards fulfilling each element makes for an amazing design. The key is to get to know your clients as best as possible to be able to meet their needs. Do they use that standing mixer every day or was it a wedding gift they don’t touch? Is this a place to socialize or strictly a place to cook quick meals? Personality and other details that you learn are what will maximize functionality for each specific client. Want to learn more about how to tackle a kitchen? Check out QC’s design courses!